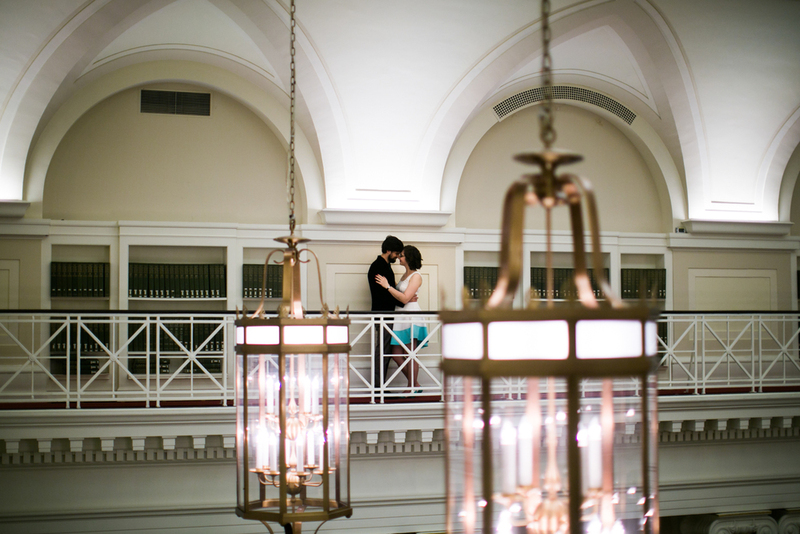 When we took Lena and Paul's engagement photos at the New York Historical Society after it had closed down for the day, it felt like good, sneaky fun, ala Claudia Kincaid in From the Mixed-Up Files of Mrs. Basil E. Frankweiler. We had permission, of course - Paul works there and arranged it in advance - but I still had that giddy feeling of getting away with something! He is a museum guide that works with children, and she is a teacher that also illustrates children's books. I love that their hearts are in service to art and kids, and this made me so excited to take them on as clients! Plus, these two are so in love that it is an absolute joy to watch them interact. For their engagement photos, we started outdoors around the Natural History Museum and just inside Central Park, and then headed indoors as the light faded for some once-in-a-lifetime shots inside. The library is incredible! We were the only ones in there, but I felt the urge to whisper anyway. It felt like a hallowed space, and the staircase that rose like a wisp of smoke from the main floor to the open balcony above was begging for an architectural, classic black-and-white portrait. 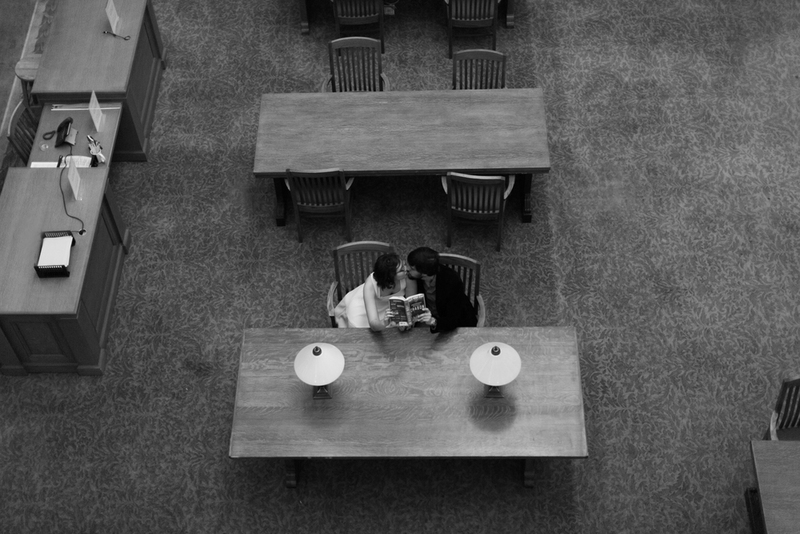 I also relished the opportunity to take some paparazzi-style shots of these two "caught canoodling" in the library. Their wedding will be featured soon! Older PostIntimate Wedding in Upstate New York | AKA "The One Where I Did All of the Things"